The decision by the government to raise a $50 billion ultra-long-term bond over a period of 100 years “is not intended to derail our debts sustainability path, but rather to enhance it”, Finance Minister Ken Ofori-Atta has explained. Presenting the 2019 Budget Statement and Economic Policy of the government on the theme: “Putting Ghana Back to Work”, Mr Ofori-Atta said on Thursday, 15 November 2018 that the government announced its intention to issue longer-dated sovereign bonds this year as part of “our bilateral engagement with other countries”. 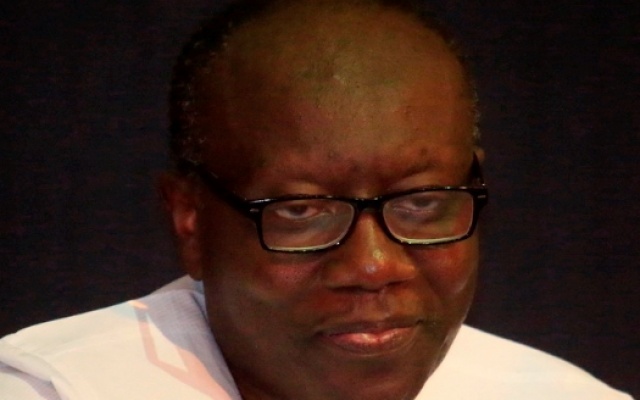 In his opinion, Ghana’s “phase of massive economic transformation requires a more ambitious financing arrangement and the capacity to retire about half of the country’s existing debts, which were issued during a high-interest rate environment during the previous administration”. In view of that, he said, if “the country really wants to uplift ourselves out of this hand-to-mouth existence and put our country Ghana on a firm trajectory of growth and prosperity, we will need to source long-term affordable financing to invest in strategic infrastructure over the medium- to long-term”. He revealed that the government “shall issue sovereign bonds of longer tenor, either as green bonds or Eurobonds on the international capital markets and also structure a Sovereign Century Fund for our bilateral investor partners”. The Sovereign Century Fund, he noted, shall engage on a bilateral basis “to raise long-term concessional financing to underwrite our other commercial infrastructure needs through GIIF, GIADEC, PPP projects and other entities as well as liability management”. Mr Ofori-Atta said the Akufo-Addo government inherited over GHS120 billion of debt at very high interest rates. “Even though we have brought down interest rates considerably we are still saddled with a sizeable amount of expensive debt. As such, in 2019, we will spend over GHS16 billion of our revenue (over 26.6%) on interest payments. This amount can be considerably reduced if we refinance our debt at much lower interest rates. A ten per cent reduction in the interest rates translates into over GHS1.6 billion in savings; almost enough to pay for Free Senior High School (SHS) in 2019”. He, therefore, underscored the need for the Ghana Century bond programme, which he said will help “provide us with the wherewithal to refinance these expensive liabilities”. “It is an important bulwark for Ghana’s post-IMF status; it indicates a country with a long-term plan, a country that can programme its infrastructure needs, a country that can provide for adequate foreign exchange reserves,” he stressed.